MPG-o-Matic 2009 Toyota Corolla Review Summary: The 2009 Toyota Corolla competes with the Honda Civic, Nissan Sentra, Ford Focus, and Chevy Cobalt, among others in the highly competitive compact market and slots in between the Yaris and Camry in Toyota’s lineup. In over 500 miles of driving, we trounced the official estimates, scoring 40.3 MPG on the highway and 35.2 combined. The Corolla’s efficient VVT-i engine rewards light-footed drivers while providing enough throttle to make those merges. Now in its tenth generation, the Corolla holds the honor of being the world’s best selling car, eclipsing the 30 million mark in 2007. That remarkable success has been built upon Toyota’s reputation for quality and value, as well as the Corolla’s strong gas mileage ratings. To get the best gas mileage results from the Corolla, keep an eye on the instant gas mileage display as you drive. The figures will fluctuate widely as you accelerate and coast. Watching the numbers while maintaining a light foot are the keys to optimum fuel efficiency. In reviewing the competition, it’s clear that the Corolla has been conservatively designed to appeal to the broadest spectrum of drivers, unlike some compact cars which are primarily targeted towards a younger crowd. The cabin is a case in point. It’s cleanly designed and devoid of bold styling cues and trendy bits. Out on the road, we found the Corolla XLE’s cloth-upholstered seats to be comfortable, although they lacked lumbar support. Steering wheel controls let you take charge of the audio system and Bluetooth connection without lifting your hands from the wheel. The satellite-ready audio system includes an in-dash line-in jack, with power outlets in both the dash and center console. Dashboard controls are no muss, no fuss, throughout. Heating and air conditioning controls are generously sized and an absolute cinch to operate. All-in-all, it adds up to a compelling, if somewhat conservative package. It’s clear to see why the Toyota Corolla continues to be an excellent choice for the mileage-minded. any idea why the corolla with the 2.4 gets such terrible gas mileage. i mean, shouldnt it get at least the mpg as the camry with the same engine. it is lighter. is this an inaccurate epa number (not likely) or what? this would be a cool concept, big 4 cyl in an economy car. just what a performance minded driver turned hypermiler would want in his driveway. please shed some light. I just bought a Corolla base model and it is loaded with stuff previous generations left out. The odd thing is no power locks. The ride is smooth and cabin sound low. This is the first automatic I have bought because the millage is higher with the auto than with the manual. I bought an 09 Corolla over 6 months ago and average 42 mpg combined driving in summer. Its coming in about 38 mpg in winter. I use some hypermiling techniques. I have had my 09 Corolla since July 08. The mileage indicator started at 38 mpg when I picked it up and it has decreased by a fraction consistently since which is strange because my driving is all in-town and has not fluctuated much since I purchased the car. I am currently getting 28.3 mpg according to the on-board indicator, I have to wonder if it’s right or just there to make me feel good. Is the number credible at all? @Debtx – There are lots of variables. 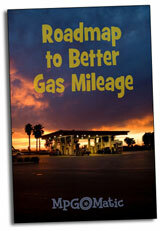 The only way to get a precise number is to manually calculate the average mileage each time you fill the tank. You’ll also want to reset the mileage indicator with each tank fill. I’ve owned mine for a year–its my second toyota, and i haven’t had one problem with it. The gas mileage is great. Its an excellent commuter car and it actually pretty nice on long trips.